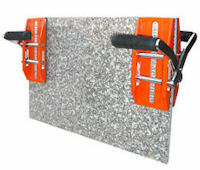 The Abaco Carry Clamps are designed to safely lift and move slabs without the use of a forklift. The durable, rubber padded handles reduce hand fatigue. Ruber lined jaws protect the material and prevent the material from slipping. 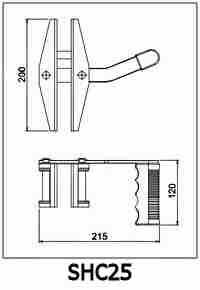 The weight of the slab exerts sufficient clamping force for such simple clamping devices. These clamps help you work more efficiently on smaller jobs by eliminating the need for a forklift. 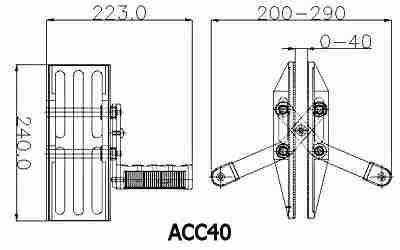 The Single Handed Clamp, SCH25, allows two people to move a slab; while the Double Handed Clamp, ACC40, requires four people. Both models are sold in pairs.